The Stafford, Virginia campus lockdown drill was meant to prepare students and faculty for a sudden emergency like a mass shooting, but when the kids were separated into locker rooms, the unnamed trans student wasn’t allowed into either one. Sensing they were blundering an incredibly obvious-to-solve problem (let her go where she’s comfortable to wait out the emergency drill with her friends and classmates), faculty then brought her back inside, but still wouldn’t let her into the locker rooms. Instead, they had her sit in the hallway outside. “During an event that prepares children to survive an attack by actual assailants, she was treated as if she was so much of a danger to peers that she was left exposed and vulnerable,” Equality Stafford wrote in a Facebook post. Equality Stafford is planning to show up at the next school board meeting to voice their disappointment and concern about how the school handled things, and a number of locals have committed to joining them. Let’s come together as a community and show the school board that Stafford is ready to protect our LGBTQ students and staff. With a new superintendent, we need to introduce ourselves and show that these are important issues. Speakers are welcomed as are those who want to stand in solidarity. If you would just like to come out and support, please feel free to bring a sign, a flag, or wear purple. This is frightening. It matters so much to them which bathroom this student uses, they’d let her die sheltering her in one. Absolutely horrible and completely unnecessary. If this was a safety drill the students should not have been separated by gender. 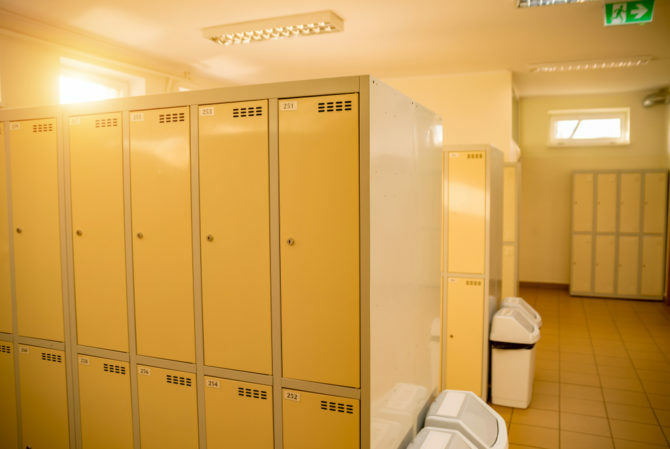 It’s much safer and less complicated to have them to shelter in whichever safe place is closest to them, even if that means all genders in one locker room. There was no reason to single this child out. The staff is just stupid and in serious need of some common sense. This ought have been a no brainer. Even for people this ignorant. Let her in the place she wishes to be in, feels most comfortable in. One thing I will say, at least it was a drill. What had it been an active shooter event? I don’t know about family, but if I were, someone would learn, and rapidly so.